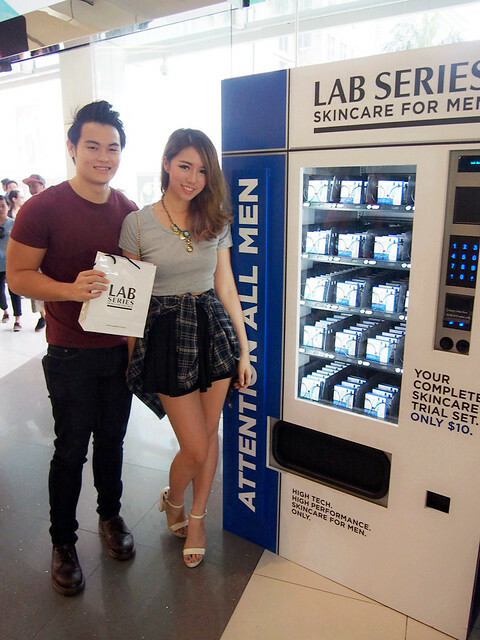 SHENNYYANG - Singapore's Lifestyle & Travel Blogger: Lab Series: Skincare for Men + GIVEAWAY! 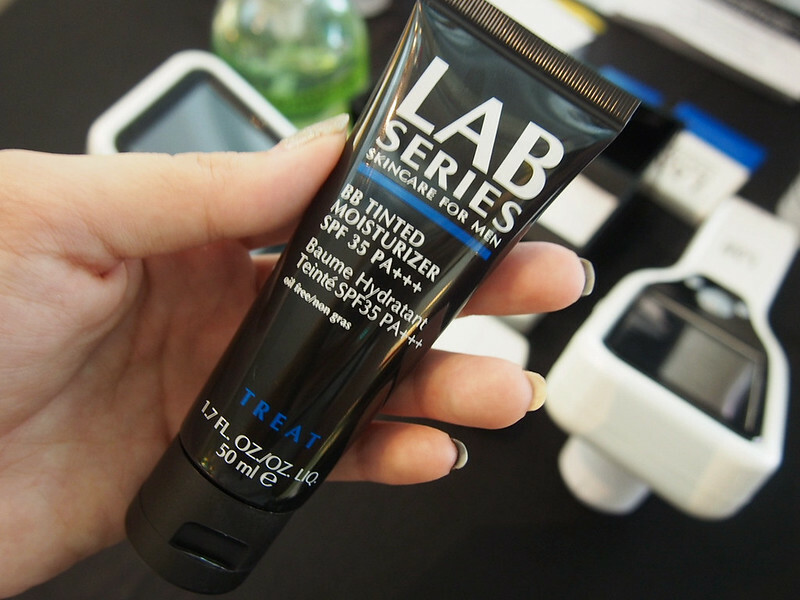 Lab Series: Skincare for Men + GIVEAWAY! HIGH TECH. HIGH PERFORMANCE. SKINCARE FOR MEN. ONLY. 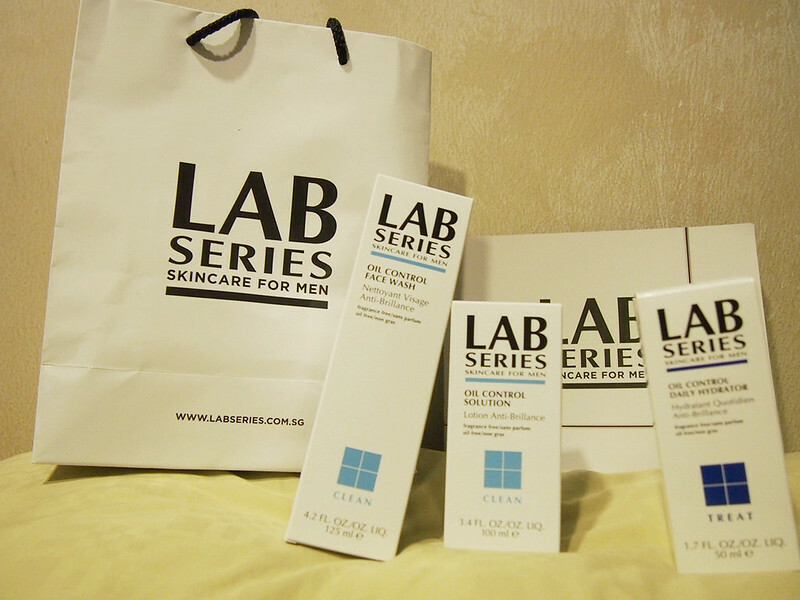 Lab Series Skincare for Men was introduced by the Estee Lauder companies in 1987. The brand's elite team of scientists and researchers develop products using modern technology, advanced ingredients and the latest research on men's physiological and lifestyle needs. Our products offer targeted solutions with proven results for men's skincare concerns. 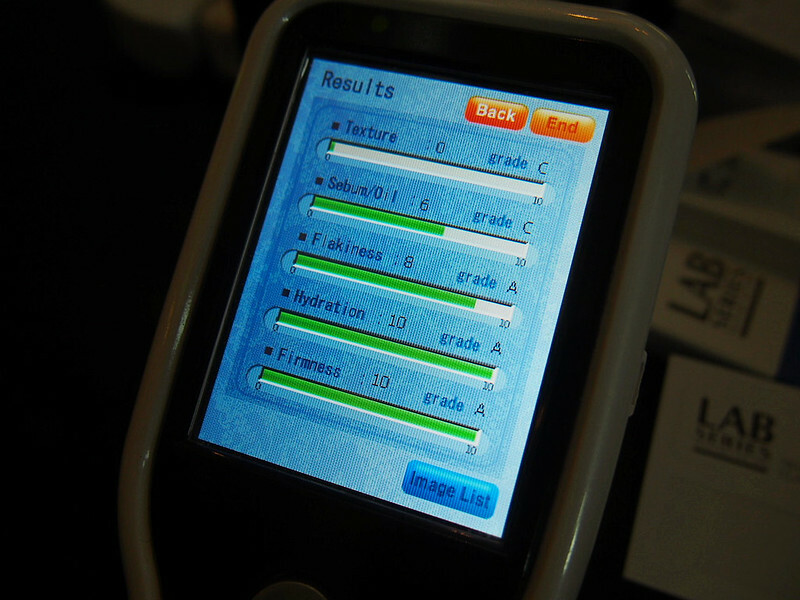 First.. Jj's skin and complexion was being analysed by this cool machine! I want a skin analysis too!!!! 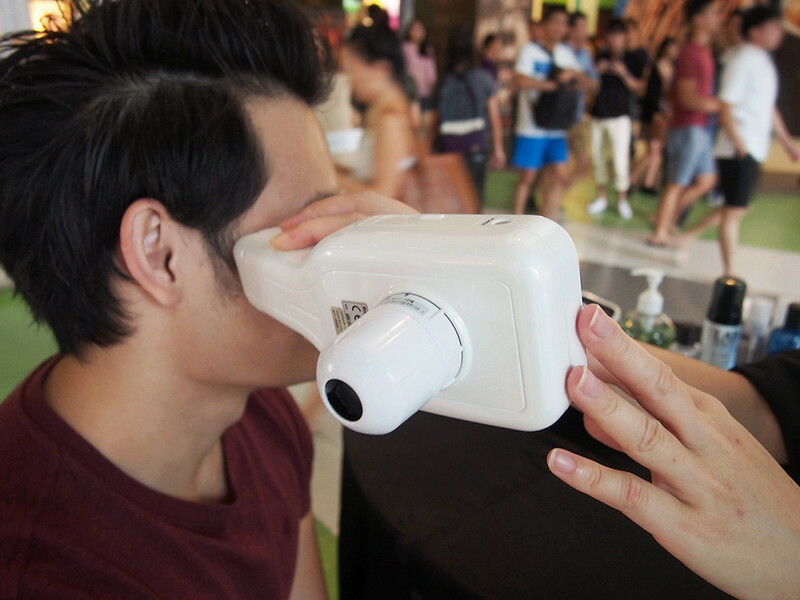 After the skin analysis, the skincare specialist then recommended a range of products which suits Jj's skin! These are products under the 'Oil Control' series cuz Jj tends to have breakouts and oily skin. TAKE CONTROL FOR CLEARER, SHIN-FREE SKIN. 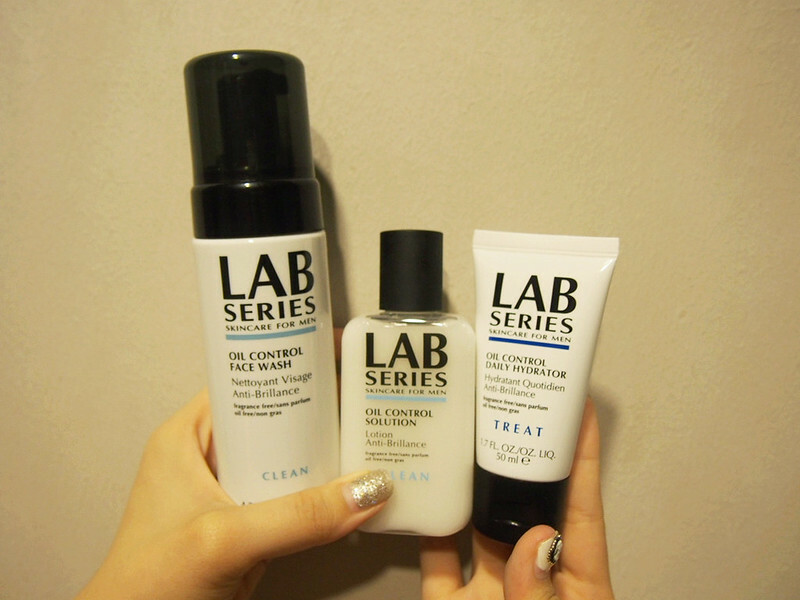 Lab Series Oil Control Products work together to clean and hydrate skin, while reducing shine and the appearance of pores. Jj has been religiously using these products for a week and I realised his complexion has indeed improved, though not drastically yet. His T-zone was less shiny and oily as compared to before and for the past 1 week, no new pimples sprouted out which was a good sign!! :D Can't wait to see how his skin will improve further under the magic of these products! 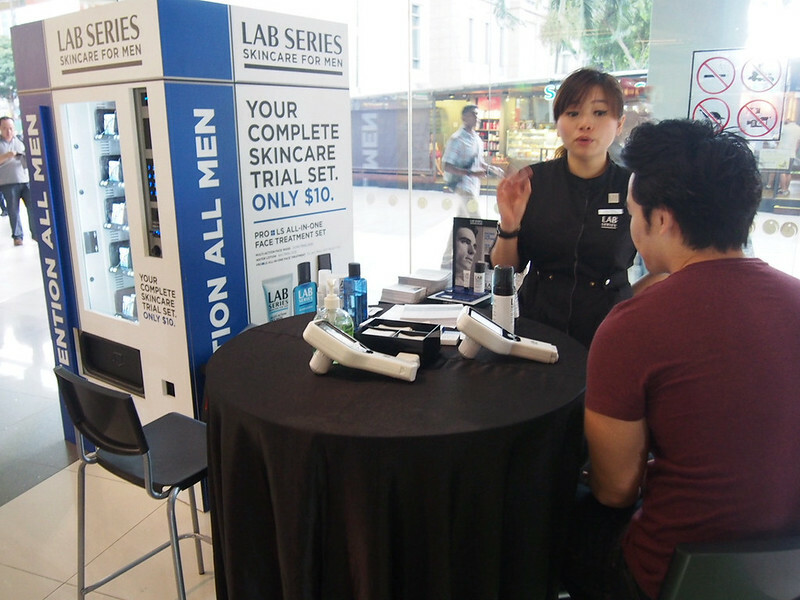 For the males who wish to try out Lab Series Skincare for Men products.. but unsure if it would really work or worried that it'll be too expensive, why not give these trial products a try? It only costs $10/trial set!!! Freaking worth it! Heard that the trial products are actually worth MORE than $10, but because they would like to reach out to more male consumers, hence this special rate price!! It's a steal guys! Grab it before its gone! I will be giving trial sets to 2 LUCKY READERS!! All you have to do is to leave a comment under this blogpost (with your email address) and I'll pick 2 winners from there! Also, if you follow me on twitter(@shennyyz)/instagram(@shennyyang), your chances will be higher, so GOODLUCK!! Male readers, here's your chance to win yourself a giveaway! Female readers, join too and surprise your bf with this gift! :D Giveaway ends 29th November 2013 (Friday), 6pm. Thank you for participating in my humble giveaway! 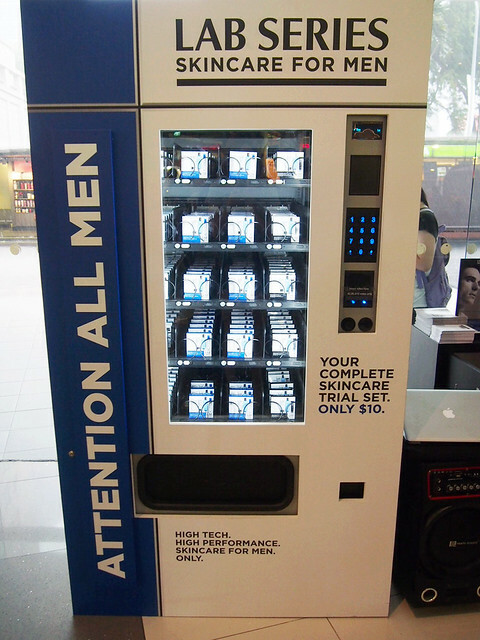 Skincare laboratories for men are rare and this one is a novel initiative. I would love to know how the products are and which products can be used for daily skincare routine.